Healthcare associations have stricter professional development requirements because of the accreditation regulations surrounding Continuing Medical Education (CME), Continuing Nursing Education (CNE), and the continuing education of other medical specialties. 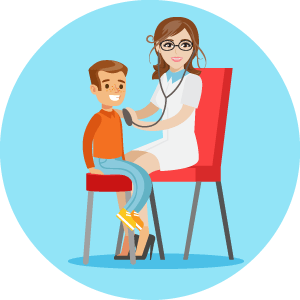 CourseStage Health offers healthcare specific features and functionality: Program and Activity Reporting System (PARS) reporting; performance improvement; psychometric reporting, including item analysis; peer benchmarking; and pre- and post-test comparisons. In addition, CourseStage Health is designed to meet the accreditation requirements regarding learner credits. No customization needed. “We are scheduled to be live with the Coursestage LMS by Web Courseworks in the latter half of January, 2018. I could not be more pleased with the implementation process. As accredited providers of CME credit, the Web Courseworks solution allows us to leverage the LMS to provide the high quality of service our learners demand. In addition, providing our learners with a full-circle system experience is crucial, from the time they log in to their association account to the time they claim their course certificate. The Web Courseworks implementation team has been able to provide us with the integration elements we require for us to deliver this experience.” -Rusty Howell, M.A. A strong learning management system is crucial for the success of your community of medical professionals. Your members rely on your association to provide them with a learning management system that allows them to further their career and maintain their licensure. Let’s break down the features that you need in a CME LMS to really push your members forward. 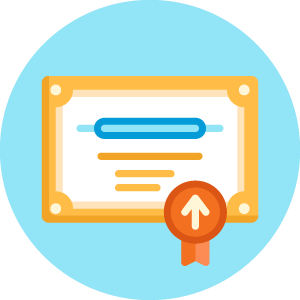 CourseStage Health ensures you can award and track multiple credit types per activity. Our solution supports ACCME-compliant credit claiming processes and can automatically generate dynamic PDF certificates. Our performance improvement functionality enables you the ability to offer cutting-edge, on-demand MOC Part IV activities for your learners. Your instructional designers and content creators can collect pre and post performance data, and learners can see graphical reports on performance metrics. Advanced item analysis, internal consistency and reliability, and other psychometric reporting offer rich statistics for internal analysis on top of your standard multiple question types, multimedia assessments, question banking, randomization, timing and proctoring capabilities, and branching assessments. 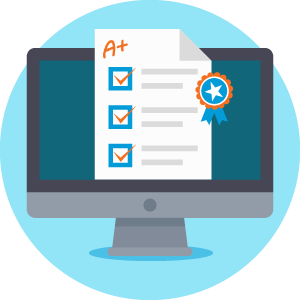 Lessen your administrative burden with the ability to document accredited courses and learning modules and then report out for ACCME PARS compatibility requirements. Advanced psychometric reporting offers rich statistics for internal analysis of educational efficacy and reporting on learner performance to third-party entities. CourseStage Health is set up as a Professional Learning Portfolio. You are able to offer your learners the ability to store all of their previously earned Continuing Medical Education credits in CourseStage Health LMS, thereby creating their own centralized educational storage portfolio. Allow learners to get instant feedback as they can compare their own performance against that of their peers. Compare ranking, aggregate scores, and item-by-item responses both within an individual course and against historical performance site-wide. CourseStage Health is designed to offer personalized learning recommendations that will guide learners along their chosen professional development paths. Learners can identify and track their progress, and determine opportunities for future performance improvement. CME is an acronym that stands for ‘continuing medical education’. Continuing medical education consists of different educational activities for medical and healthcare professionals that maintain and develop the skills, or the ‘tools of the trade,’ required to continue to practice medicine. Courses or conferences focused on teaching improvements to existing techniques and standards. Management or educational methodology for practitioners who manage or teach in schools and hospitals. Courses or conferences focused on interdisciplinary topics that are relevant to clinical practice, like sociological or psychological understandings related to patient care. The purpose of CME is to ensure that all practicing medical professionals maintain and develop their medical and healthcare knowledge, in order to continue providing the highest quality care to patients. Anyone employed in the healthcare industry will require varying levels of continuing education in order to maintain their licensure or accreditation. There are a few positions, however, that require medical-specific continuing education. Allied health professionals are individuals who are not doctors or nurses, but still provide a hands-on patient-facing service during medical care, such as lab techs, EMTs, chemotherapy technicians, and more. In order to remain employed at hospitals or in doctors’ offices, or to keep one’s medical license, healthcare professionals must earn a certain number of CME credits per year. The number of credits depends on the state’s medical licensing board. 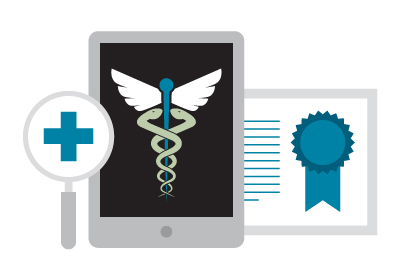 How can a CME LMS help your healthcare association? Your association aims to provide value to your members, who are the healthcare professionals that our society relies on. In order to help them succeed in their careers, your association should invest in a continuing medical education learning management system. Through a CME LMS, your members will be able to easily and conveniently claim their credits and maintain their licensure. Your association can create the most functional and understandable course possible, all while offering engaging learning strategies to your members. A strong and reliable CME LMS can help your healthcare association by decreasing the amount of time that your administrators and developers spend creating ACCME-compliant courses (Accreditation Council for Continuing Medical Education), and increasing the satisfaction of your members with your association. What are medical professionals looking for in a CME LMS? 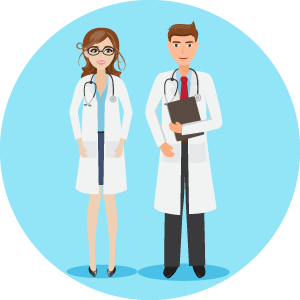 Self-reported credits, so that professionals with previous CME experience outside of your association are still able to gain ACCME credits for their work. Self-assessment within the LMS, so that they know the best course of action for their career development. Convenience of use, because medical professionals are busy people! If the CME LMS is difficult to use or understand, or doesn’t support use on a tablet or phone, then your members won’t enjoy using the LMS. Choosing the right CME LMS is important for your association’s ability to provide value to your members. Keep in mind these crucial aspects when deciding on the learning management system that’s right for your heathcare association. For more information on different learning management systems and how to maximize their utility for your association, head over to our Resource Center.